The Government of Estonia, in partnership with Level39, invites you to discover how Estonia became ‘e-Estonia’ – a digital nation that is ready to help UK-based entrepreneurs conduct business globally through our EU business environment (including after Brexit). Please note: Attendance is limited and you must register through EventBrite in advance in order to attend. You will have the opportunity to hear from Taavi Rõivas, the former Prime Minister of Estonia who oversaw the introduction of e-Residency, Estonia’s government startup to support entrepreneurs beyond our borders. Taavi Rõivas will be joined by the Estonian Ambassador to the UK, Tiina Intelmann, and Chief Evangelist for Estonia’s e-Residency programme, Adam Rang, to discuss the country’s future plans and answer questions. This event is hosted by Level39 and will be moderated by Tobias Stone, a tech entrepreneur and former Special Advisor to Estonia’s e-Residency programme. 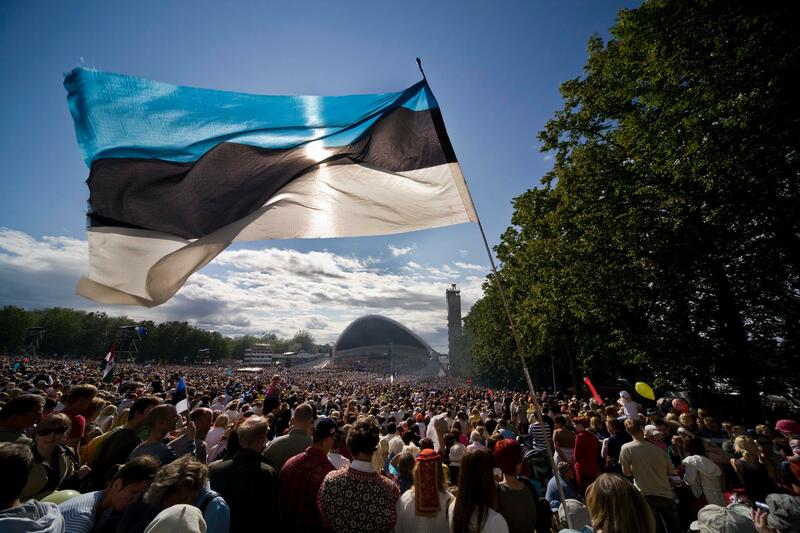 0940: Fireside chat with Taavi Rõivas and Tobias Stone – how Estonia became e-Estonia. Taavi Rõivas was the Prime Minister of the Republic of Estonia from 2014 to 2016. Previously he was the Minister of Social Affairs, and chaired the European Union Affairs Committee in the Estonian Parliament, Riigikogu. Before his political career he worked in a technology company. Under his leadership as Prime Minister, Estonia started to implement its e-Residency programme, developed extensively its public digital services, and promoted its experience with e-government to countries around the globe. As Prime Minister, Mr. Rõivas promoted Estonia’s e-Government success around the world, including a guest appearance on the Trevor Noah show in the US. Before taking up the post of Estonian Ambassador to Great Britain in 2017, Tiina was Head of the EU Delegation in Liberia. In December 2011 she became the first woman to be elected as the President of the Assembly of States Parties of the International Criminal Court (ICC). Tiina has also represented Estonia as Permanent Representative to the Organization for Security and Cooperation in Europe (OECD), Permanent Representative to the United Nations, and Ambassador to Israel. Ben is a former Royal Marine Commando and JP Morgan Analyst. He launched his first digital business in 2001. The world’s first crowdfunding business, Bmycharity combined payments, social networking and data analytics, enabling 800,000 donors to deliver more than £50 million to UK charities. He worked as COO of UK Trade and Investment’s Venture Capital Unit, and has been Head of Level39 since 2016. Level39 supports 200 high-growth technology companies who are transforming the security, productivity and reach of global financial services and other sectors. Adam is Chief Evangelist of the Estonian Government’s e-Residency Programme. He is a dual national of both the UK and Estonia and has previously run companies in both countries. Tobias is a tech entrepreneur, investor, and board advisor. He was a Special Advisor to the Head of e-Residency, helping build a global network around the program. He is a co-founder of fintech startup, Brickowner.com, and supports the board and CEOs of a small portfolio of startups working in fintech and healthcare, as well as advising corporates on how to build venture and innovation programs, which was the topic of his recent PhD.